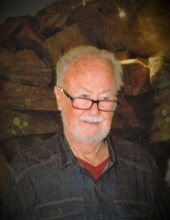 Mr. Gordon Junior Kilgore, age 79, of Silver Creek, GA passed away Saturday, March 30, 2019. Gordon was born in Rome, GA on February 15, 1940, a son of the late Kenny Junior “KJ” Kilgore and the late Inez Jones Kilgore. Mr. Kilgore was a 1957 graduate of Pepperell High School. He was a proud member of the NRA and had retired from Inland Paper in Rome after many years of service. Mr. Kilgore was the owner / operator of Silver Creek Classic Auto Restoration where he loved to restore classic cars to showroom status. He was a longtime Mason serving in the Lindale Masonic Lodge for many years. In addition to his parents he was preceded in death by his wife, Helen Kilgore on November 6, 2018. Survivors include his children: Gail Kilgore Smith and husband Don and Randy Kilgore and his wife Lora; three grandchildren, Amanda Godwin, Dustin Kilgore and Caleb Crider; brother, Spencer Kilgore (Marilyn) ; sisters, Kathy Eldridge, Eralee Sisson, Shirley Sisson (Buddy), Ellen Casey (Tim) and Ilane Deaton (Eddie); special nephews and nieces, Danny & Karen Little, Corey & Briana Little and Joel & Janis Little; other nieces, nephews and cousins also survive. The funeral services to celebrate the life of Mr. Kilgore will be held Tuesday, April 2, 2019 in the chapel of Smith & Miller Funeral Home at 1:00 PM with Rev. Spencer Kilgore officiating. Interment will follow in Floyd Memory Gardens in Rome. The following gentlemen will serve as pallbearers: Danny Little, Corey Little, Joel Little, James Davis, Joey Newberry, Kyle Newberry, Brad Bates and Quinton Stephens. Honorary pallbearers will include Logan Bates & Gary LeCory. The family will be receiving friends Monday evening from 6:00 PM until 9:00 PM at Smith & Miller Funeral Home. The Smith & Miller Funeral Home of Cedartown is honored to serve the Family of Mr. Gordon Kilgore. To send flowers or a remembrance gift to the family of Gordon Junior Kilgore, please visit our Tribute Store. "Email Address" would like to share the life celebration of Gordon Junior Kilgore. Click on the "link" to go to share a favorite memory or leave a condolence message for the family.